Omen Black, the rod series that empowered angler's everywhere to take their fishing to the next level has been redesigned for 2016 and is better than ever. 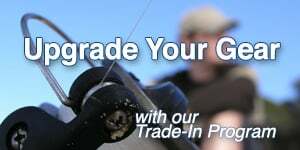 Available in a full line of tournament tested actions with Japanese 30 Ton Toray blanks incorporating Poly Vector Graphite Technology results in a lighter, more sensitive, more durable rod. Omen Black features hand selected 3A Portuguese full cork handles, double diamond coated Alps guides, Evolve Engage reel seats, and a snagless hook keeper, making them the most well balanced and sensitive rods in their class.